Antique Flame Mahogany Double Full Sleigh Bed American Empire Daybed circa 1800’s. 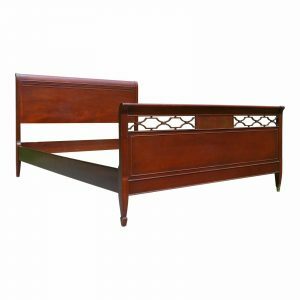 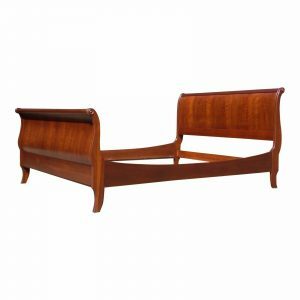 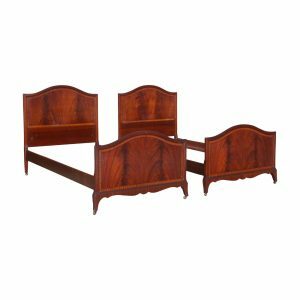 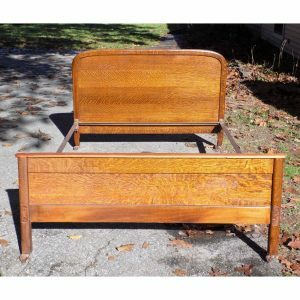 Wonderful big heavy headboard and matching footboard rest between two curvaceous posts. 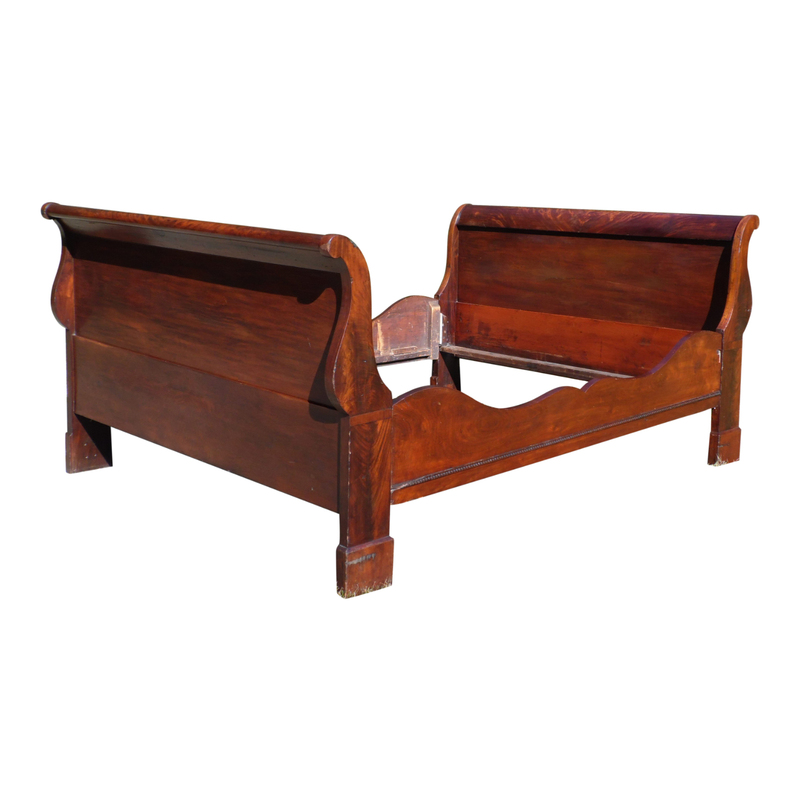 Incredible wood grains and a solid substantial bed of quality craftsmanship.